The new Freedom Chair Premium Lite DE08 is here. Folds in Seconds and Easily Splits in Two for Light Lifting into the Car – Heaviest Part Only 14kg! The A07 is the smallest and lightest model. The rear motors and wheels are easily removed for easy lifting. An average weight person will be able to travel around 15 km on one battery charge, and extra batteries can be added to extend the range up to 45kms. 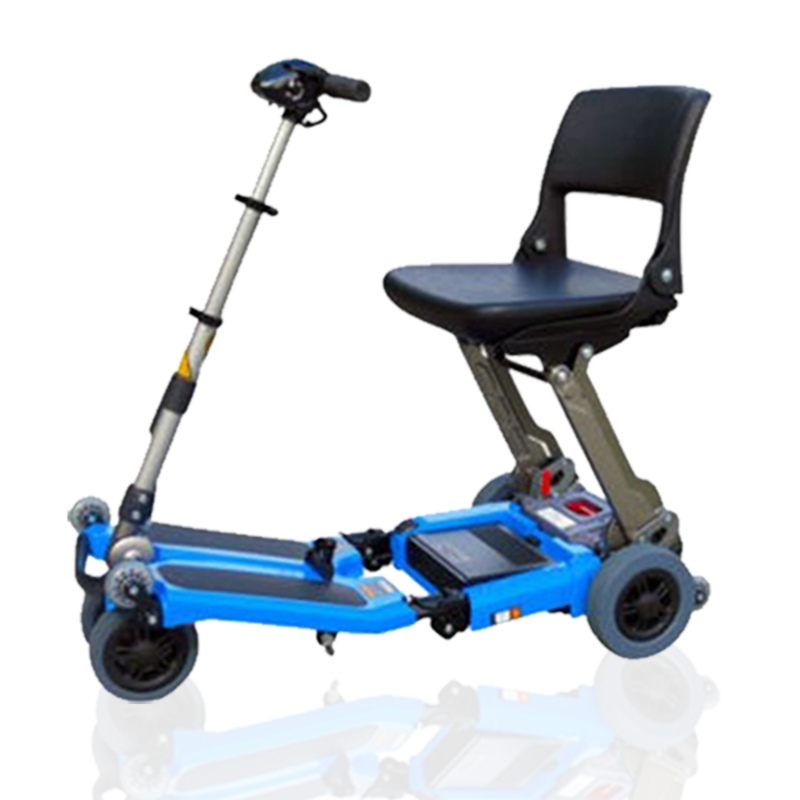 Our travel mobility scooters are the lightest in their class. The Luggie Freerider easily folds for transport and the Solax Autofold will fold itself automatically, at the touch of a button. The lithium ion batteries have a range of around 15kms (for an average sized person). 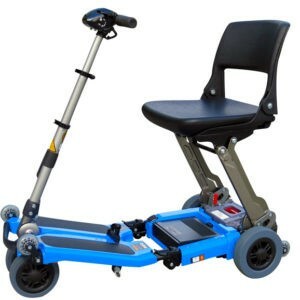 Both the wheelchairs and the mobility scooters are suitable for the car, planes, and sea cruises. Travelling with mobility issues is not always easy! Just getting from A TO B can be a bit of a trial”. Luckily, technology has given us new Lithium-ion batteries to replace those old and inefficient lead-acid batteries. 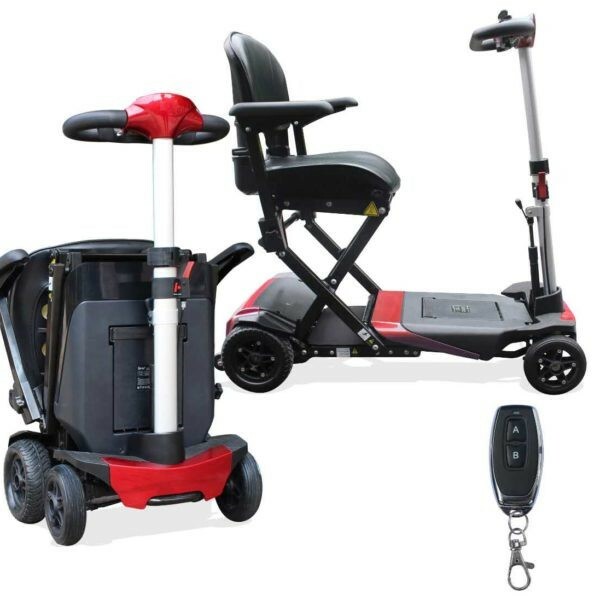 So now we have the technology to build small, light mobility equipment. 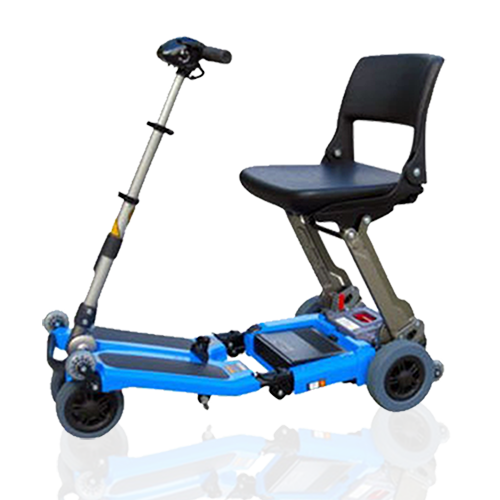 Portable Mobility Melbourne specializes in the lightest and easily portable mobility scooters and electric wheelchairs on the market. 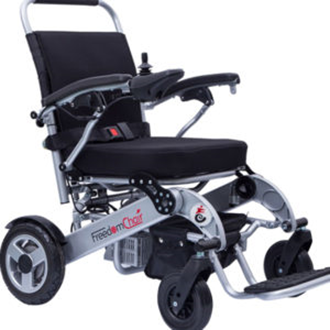 The folding electric wheelchair is the lightest wheelchair of its kind. There are several models to cater for almost all circumstances. 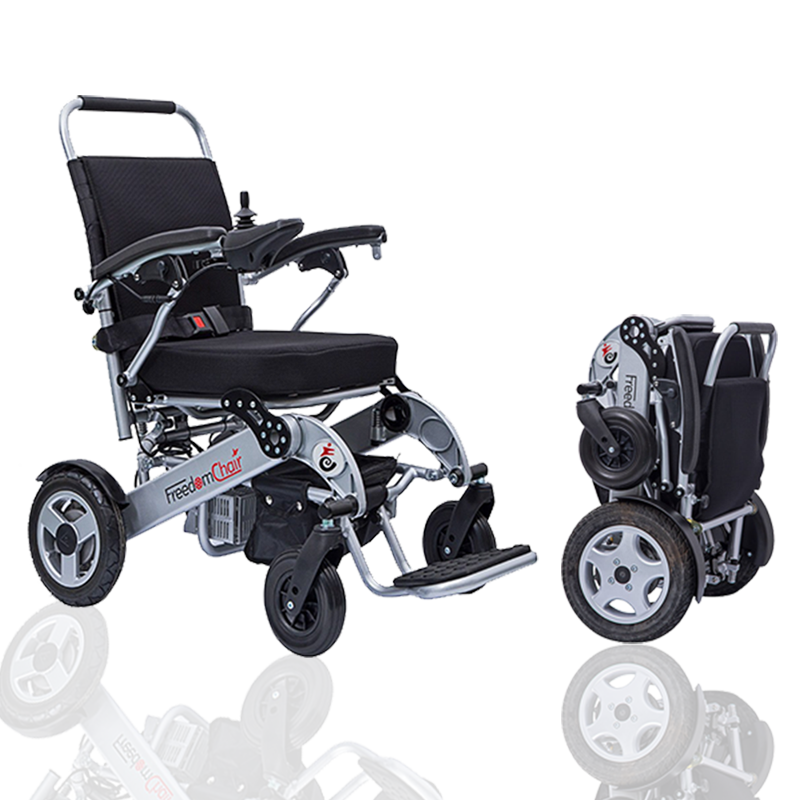 The A08 and DE08 have a weight capacity of up to 160 kg and the DE08 easily splits in two for easy lifting (the heaviest part weighs only 14 kgs).